No, I am not speaking of the movie back in the early 1990’s. 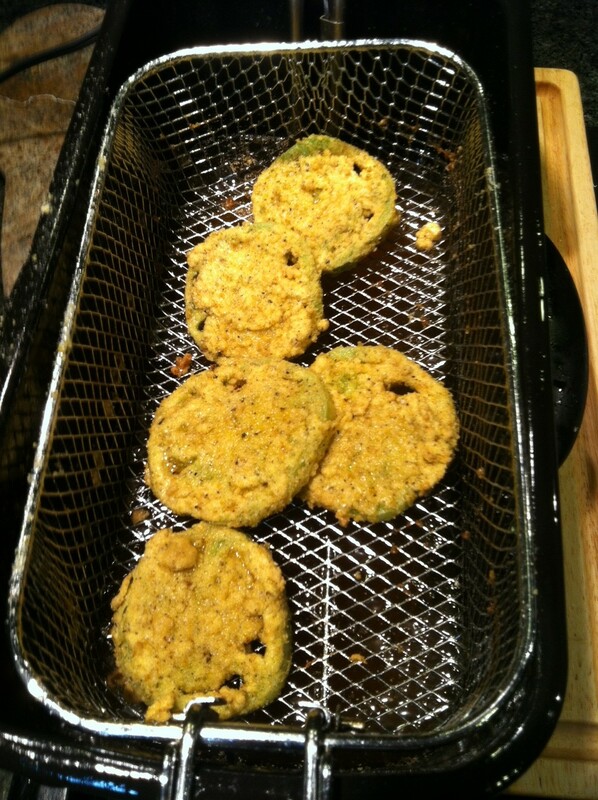 There is such a thing as fried green tomatoes. 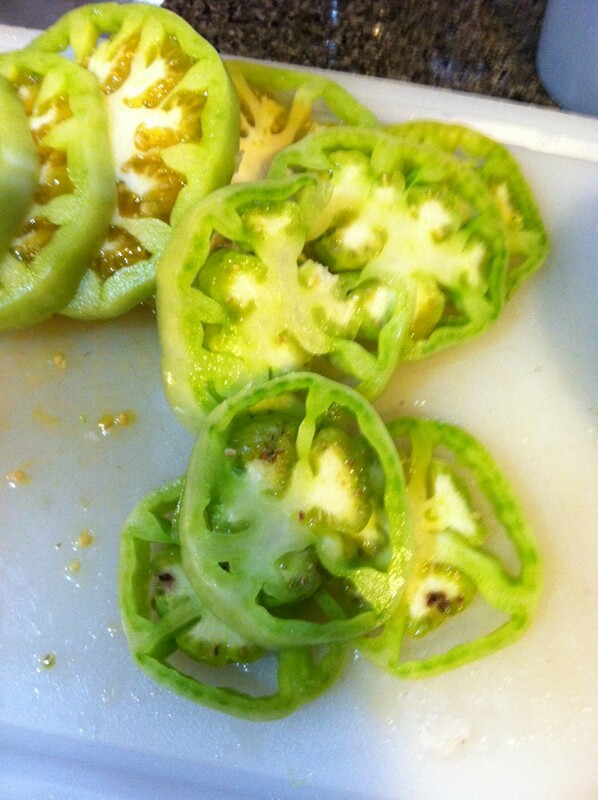 Un-ripened green tomatoes work best for this recipe because they have less juice and are firmer than a ripe tomato. This is so easy to make, that I am putting it into my Easy Summer Series category. Last weekend I was frying up some fish. My garden has an overabundance of tomatoes now, so I decided to pick a few and fry them up. I already had everything I needed, hot grease, fish fry mix and hungry mouths. The only thing I added was a milk and egg mixture to bind the mix to the tomatoes. I use dry mix for my fish. The tomatoes I used for this recipe were my Creole and Super Steak varieties. 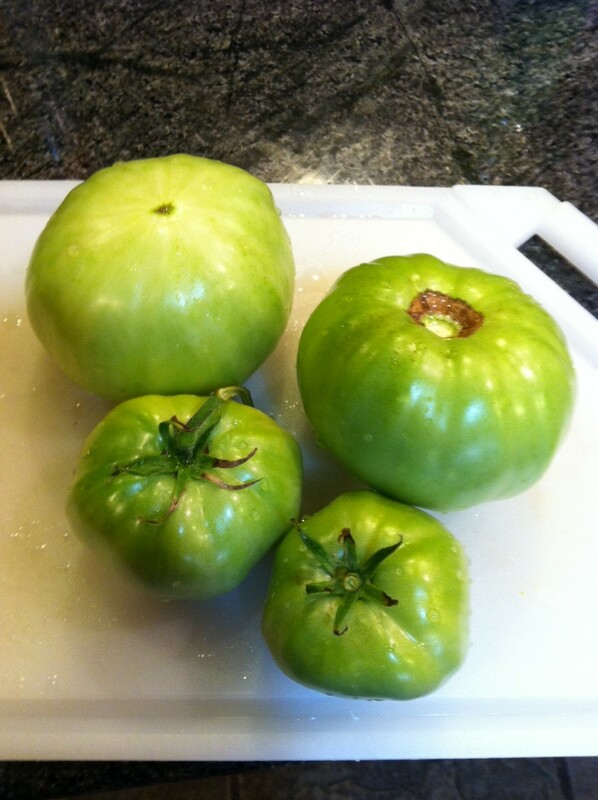 That doesn’t really matter, any green tomato will do especially since they have not reached their full flavor at this point. Slice the tomatoes into 1/4 inch slices. Season with your favorite seasoning blend or my Creole Seasoning. One at a time, mix each tomato into a bowl of dry fish fry mix, then dip into the milk egg mixture, and back into the dry mix. 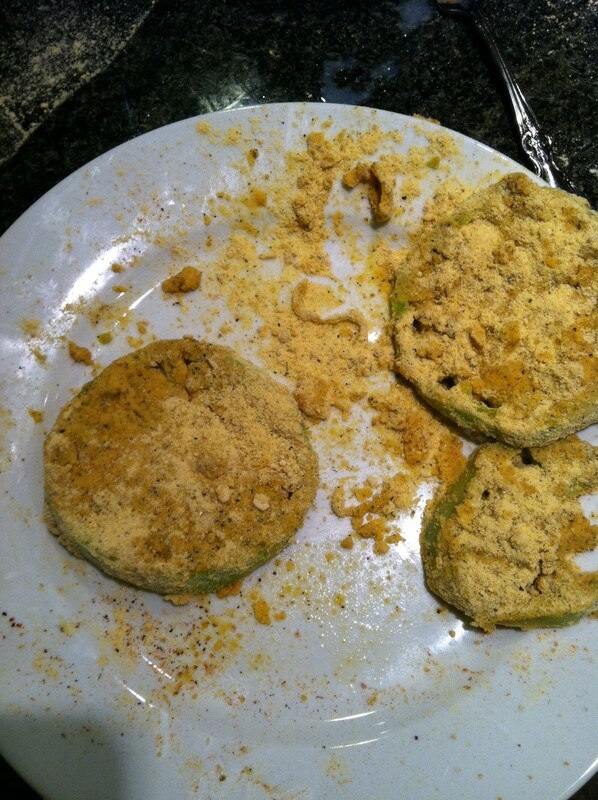 My dipping sauce is good with the fried green tomatoes.